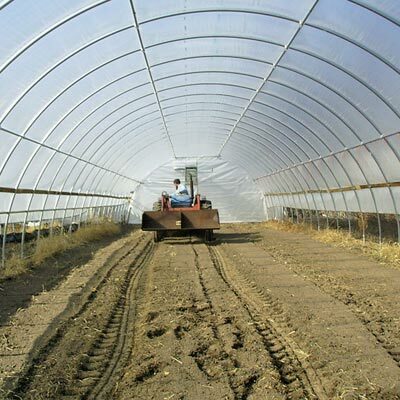 High tunnels are hoop houses covered with greenhouse film or woven polyethylene fabric that will help increase crop yields and extend the growing season. 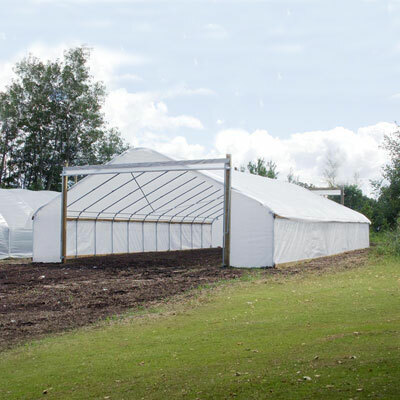 Many growers, from hobbyists to professional and commercial growers, see high tunnels as the step between field growing and greenhouse growing. 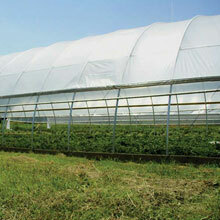 High tunnels have been widely used in Japan and Europe for many years and are becoming increasingly popular in the US. 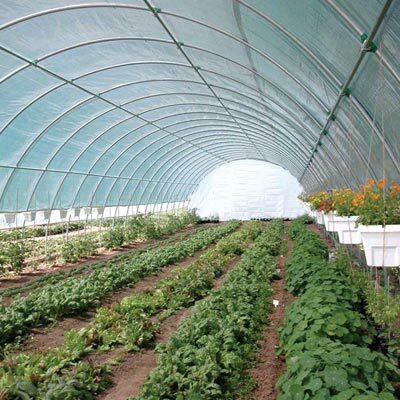 The US government has even funded a program to encourage farmers to install high tunnels. 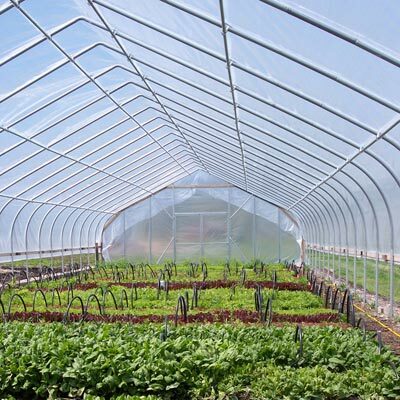 Farmers use high tunnels to grow many different types of crops, including strawberries, raspberries, tomatoes, beets, carrots, cucumbers, eggplants, peppers, radishes, squash and herbs, as well as roses and a variety of flowers. FarmTek offers a range of high tunnel sizes, from 14′ to 42′ wide and 7′ to 16′ tall. FarmTek’s high tunnels also come in a variety of lengths and customers can connect multiple high tunnels end-to-end in order to create any length high tunnel they want. 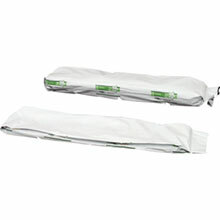 Many accessories are also available, including zippered roll-up doors, roll-up or drop-down sides and extra rafter kits. 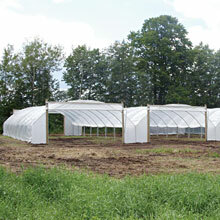 Many people are familiar with greenhouses and how they increase crop yield. 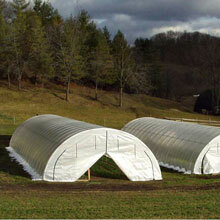 High tunnels are similar, but simpler and less expensive. 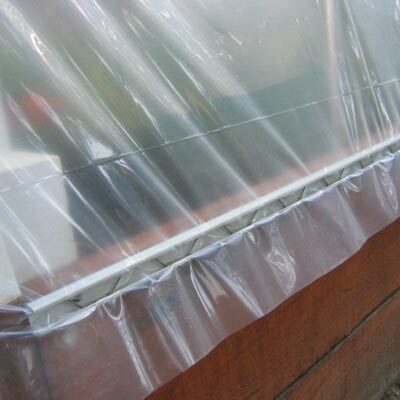 Greenhouses usually have a double layer of air-inflated polyethylene plastic that remains installed year round. 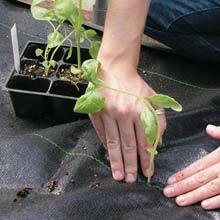 High tunnels, however, have only a single layer of greenhouse film or woven fabric that can be applied and removed as needed. 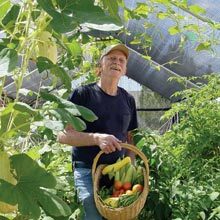 In high tunnels, heating systems are usually not employed, though sometimes growers choose to use space heaters to help further extend their growing season. 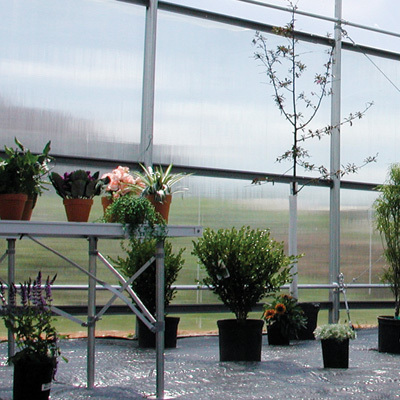 While greenhouse plants are usually established in containers, plants in high tunnels are usually grown in ground, although containers and media such as raised beds can be used. Our Expert Gro Slabs and PolyMax® Grow Tubes offer more growing options and benefits. 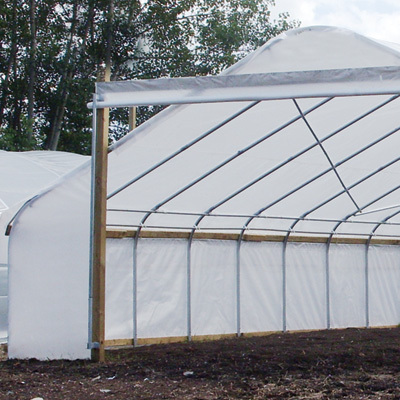 Growing in ground is made possible in a high tunnel because there is no foundation—high tunnel frames and supports are driven directly into the ground. 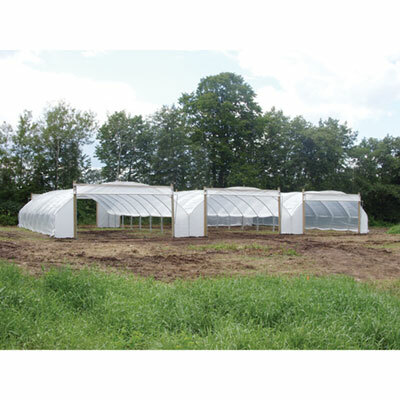 As one of the largest high tunnel manufacturers in America, FarmTek offers many styles of high tunnels, from Single Bay to Pro Solar Star™, in both gothic and round style. 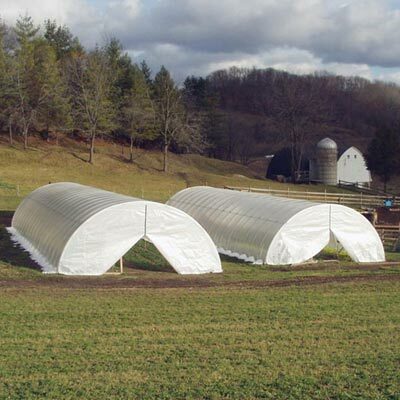 Use different styles of high tunnels in your fields to best utilize their protective abilities and maximize your crop yield. 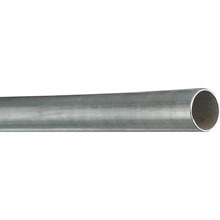 FarmTek’s Single Bay Tunnels can be connected to make Multi-Bay Tunnels. 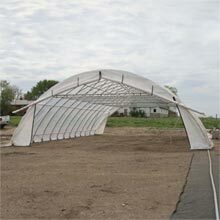 Multi-Bay Tunnels are useful in covering large acreages. Sometimes it can be difficult to regulate temperature over such a large area, so Mutli-Bay Tunnels are often used as shelters from rain and wind. FarmTek’s suggested greenhouse film for high tunnels is Sun Master® 6 mil 4 year clear film, made from strong copolymer resin for strength and durability. 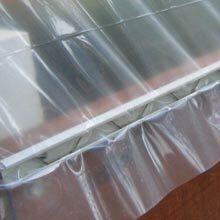 Sun Master® Greenhouse Film contains anti-dust additives that repel dirt and dust to allow for 92% light transmission. 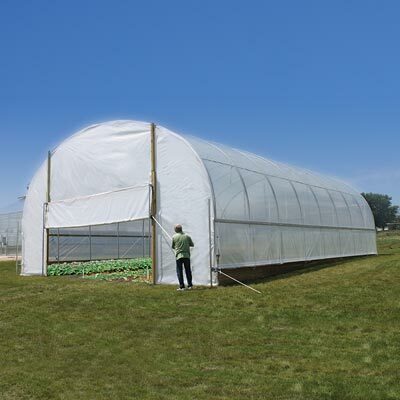 FarmTek also offers a variety of other greenhouse coverings, including 5.2 oz. 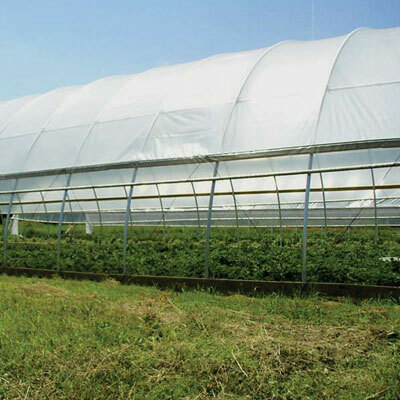 Heavy-Duty All-Purpose Fabric, Anti-Condensate Thermal Greenhouse Film, and other films with different opacities to help you design the best possible high tunnel for your crops. 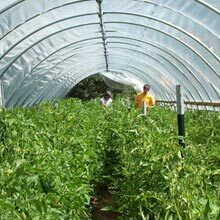 Since plants grown in a high tunnel are typically established in the ground, high tunnels are usually anchored in soil. 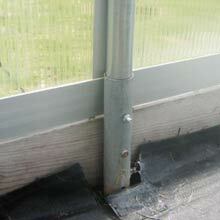 FarmTek offers two different methods of high tunnel anchoring: ground posts and mounting feet. 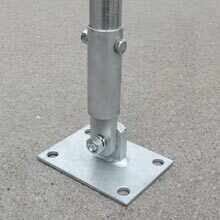 Ground posts are driven into the ground about two feet. Setting posts in concrete is recommended. Mounting feet can be secured to a customer-supplied baseboard, concrete pier, footing or foundation. We recommend using a baseboard. 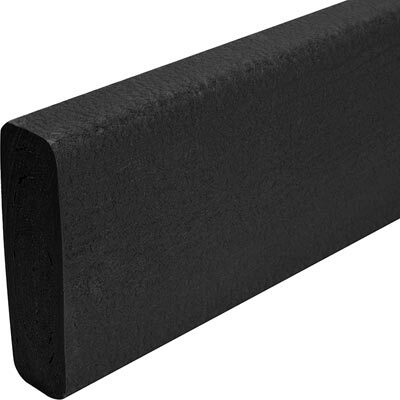 Our Recycled Plastic Lumber comes with a 50 year warranty and is ideal. FarmTek offers a variety of accessories for your high tunnels. 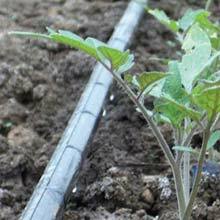 For growers who want to significantly extend their growing season, heaters and thermostats are great ways to protect against the cold during the winter. FarmTek offers a variety of heaters that range from forced hot air to radiant heat, in electric, natural gas or propane. 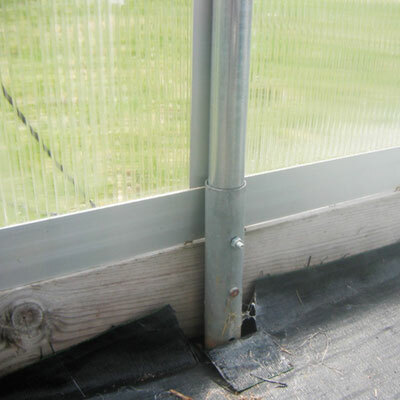 Since your high tunnel’s protective structure keeps out rain, an irrigation system is necessary to keep your plants healthy and productivity high. 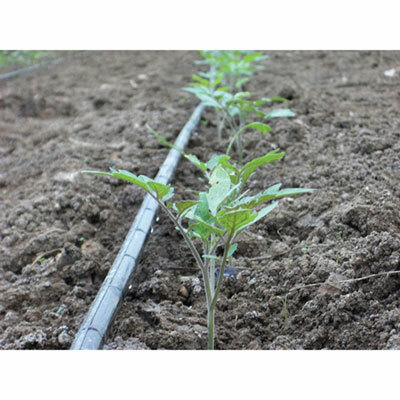 FarmTek offers many different options for irrigation systems from drip irrigation, to misting systems, to sprinkler systems. Many customers make use of our timers and controllers to automatically maintain an optimal climate in their high tunnels. Customers in some locations also use our industrial and greenhouse fans to help keep the temperature constant throughout their high tunnel. 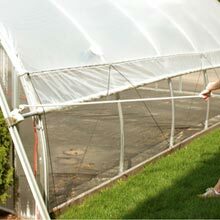 Typically, tunnels are aligned with the prevailing wind to allow air flow simply by opening the high tunnel ends, but fans and/or vents can prove useful when heating your high tunnel in early spring and late fall, when these ends may be closed. FarmTek offers many different types of circulating fans, exhaust fans and tube fans. 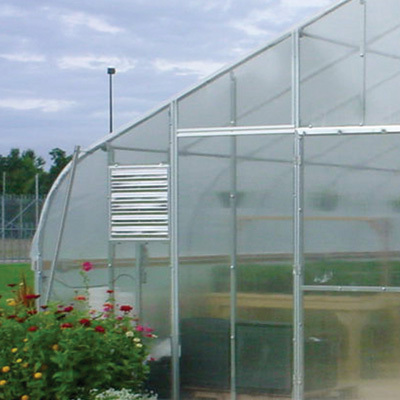 For those high tunnels that only require roof vents, FarmTek offers a variety of vents and louvers including solar-powered vents.